A PERTH restaurant has been fined $14,000 after a health inspector walked into the kitchen and saw the owner processing pet meat. 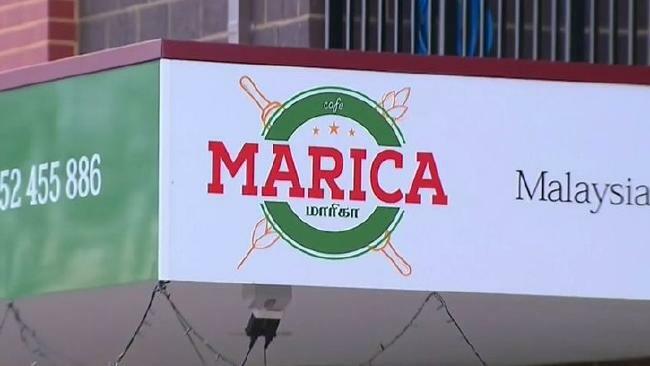 Kopikaran Krishnasamy, owner of Indian restaurant Cafe Marica, was fined the huge sum and told to pay court costs for breaching health food regulations. Mr Krishnasamy was charged with having packaged and unpackaged pet meat - 15kg of mutton - at his Canning Vale restaurant. When the inspector walked into the kitchen, he spotted Mr Krishnasamy processing some of the mutton, the rest of which was sitting in a clear plastic bag and labelled, "Pet food only, not for human consumption". The restaurant was inspected in February but it took the local council six months to issue Mr Krishnasamy with the fine. The owner was fined $2380 and his company, Kalaiamutham Pty Ltd received an $11,000 fine. Under the Food Regulation Act of 2009, it is against the law to allow pet meat, not in a sealed packet, in a premises where food is sold. "The breach related to the fact that pet meat was found at premises where food was prepared and sold for human consumption," Mr Cowie said. "Some of the meat was being processed by Mr Krishnasamy, however the City had no evidence that the pet meat was for consumption by customers." Mr Krishnasamy wrote on social media the restaurant immediately changed suppliers after the health inspector's visit. "We believe our mistake was trusting our supplier blindly and going ahead with the purchase back in February 2018 when there was an inspection. Since then we have immediately discontinued purchases from the supplier and have stepped up our hygiene practices," he wrote. "We are truly grateful that no one has consumed the meat and that the inspection officers have helped us save our customers from an unpleasant experience."